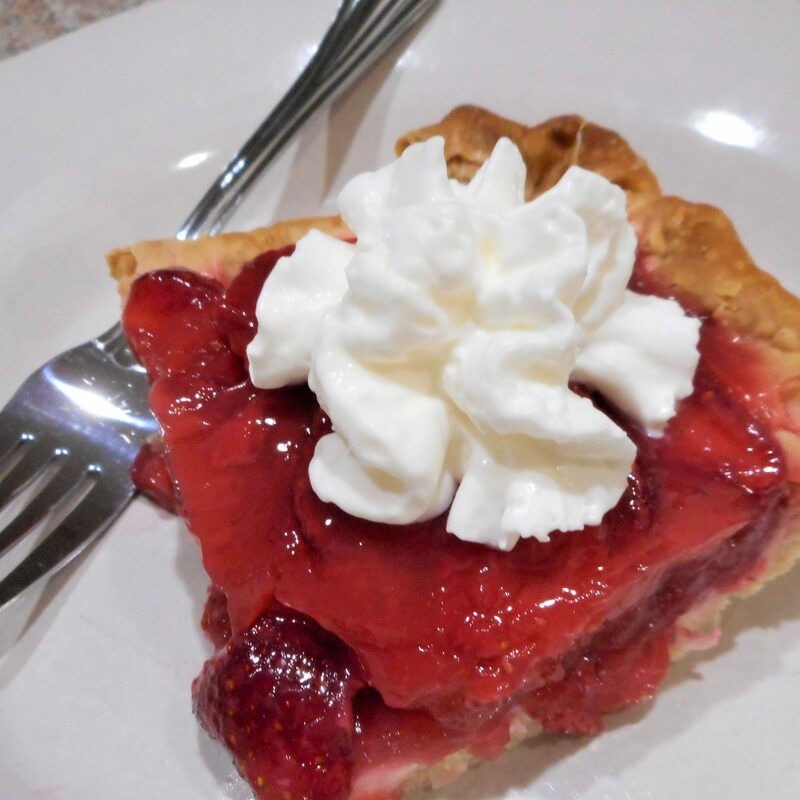 This recipe using fresh strawberries is hard to resist! For a larger gathering, you may double the recipe into a 10×15″ jelly roll pan. 1. Heat oven to 450°F. Fit crust into an 8-inch square baking dish, pressing firmly into the corners and sides. Fold extra crust under, up against the sides Using fork, prick all over bottom and sides. 2. Bake 9 to 12 minutes or until golden brown and completely baked. Cool completely on cooling rack, about 15 minutes. 3. Meanwhile, in 2-quart saucepan, beat sugar, cornstarch, water and lemon juice with whisk. 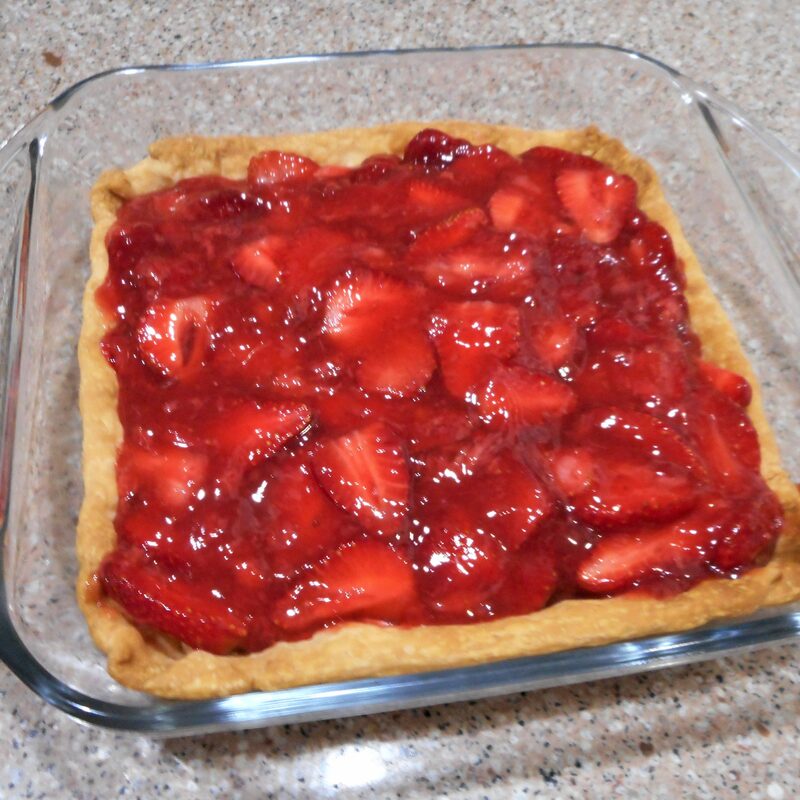 In small bowl, mash 3/4 cup of the sliced strawberries to make 1/2 cup finely mashed strawberries and stir into pan. Cook over medium heat, stirring constantly, until mixture thickens and boils. Boil and stir one minute. Pour into medium bowl and let cool 5 minutes. Stir remaining sliced strawberries into the cooked strawberry mixture. 4. In small bowl, mix cream cheese and lemon peel until well blended. Spread in the bottom of the cooled baked crust. Spoon strawberry mixture into pan and spread evenly. 5. Refrigerate until set, about 3 hours. Just before serving, top pieces with sweetened whipped cream if desired. Cover and refrigerate any remaining pie pieces.